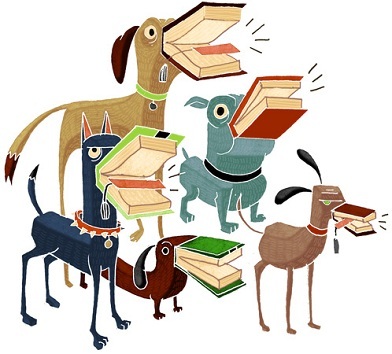 How many words does your dog know? Last week, the Wall Street journal ran the Saturday essay, Why Chinese Mothers Are Superior, by Amy Chua. Like many people, I was surprised and somewhat shocked by this excerpt from Chua's book, Battle Hymn of the Tiger Mother. I immediately utilized one of the 50 new ways of communication and tracked down, my Sweet Dog son, Jim, to discuss the article and the value of my parenting style and the reasons I consider myself a good mother. Jimmy was sweet. He quietly listened to me and at the end of my position statement, Jim asked "who is this"? Today, a colleague and fellow dog lover, sent me a link to the New York times article, Sit. Stay. Parse. Good Girl! about a Chaser, a border collie knows 1,022 words. After reading the article and the noticing the half eaten jar of peanut butter in the jaws of our yellow lab, Reggie, I had to again ask myself, am I a good (dog) mother? My dog doesn't even understand the word "NO"! Hoping that I am in the same boat as my readers, I would love to know how many and which words your Sweet Dog understands. Leave your dog's name, breed and the words he understands in the comment section. 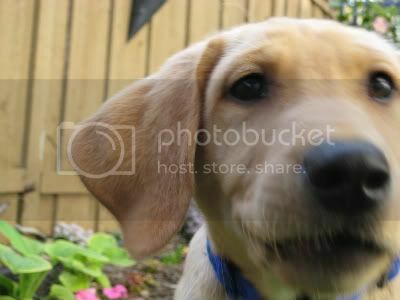 I will randomly select one dog on February 1, 2011 and send your pup a box of our organic Petite Pups. THIS CONTEST IS CLOSED. THE WINNER WILL BE ANNOUNCED SOON.